Hop aboard our time machine for a journey into Tuscany’s past. During your slow odyssey through the millennia, you’ll indulge in the succulent steak of a Palaeolithic cow, hunt for truffles with an Etruscan dog, stand in front of the greatest frescoes of Piero della Francesca, walk a 15th-century smugglers’ road to arrive at a festival of contraband tobacco and dine in a 15th-century tax haven. 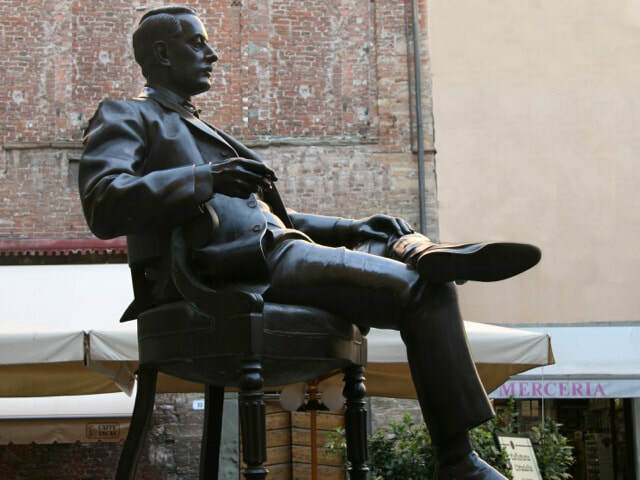 As the decades glide by, you’ll spy out the countryside from a 16th-century fortress, taste Chianti Classico wine from 17th-century terraces and get lost in the music of Puccini, the great 19th-century composer born within the 16th-century walls of Lucca. Coasting into the 20th century, you bake focaccia with 1930s wheat, and on the landing pad of today you’re welcomed by 21st-century Italian craft beer. Pack your curiosity and get your boarding pass now. Really small group (maximum 10 people). Afternoon arrival at Arezzo station (on the main rail line between Rome and Florence) where we’ll collect you and whisk you off to the rural tranquility of Locanda del Viandante (Inn of the Wayfarer), in the Valtiberina (Tiber Valley). 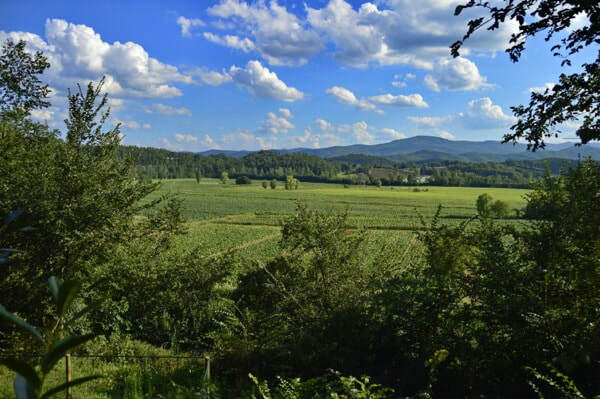 We’ve chosen to begin our journey across Tuscany in its extreme southeastern corner because few travellers know of its beauty and importance to Tuscan history and culture. 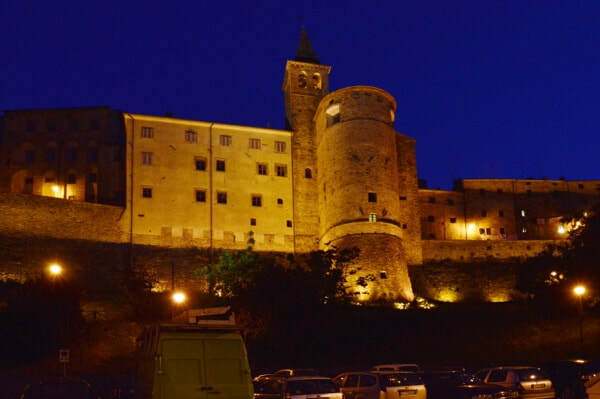 Within a few square kilometres we have the birthplace of one of the most important early Renaissance painters, the pivotal battle of Anghiari in 1440, the early cultivation of tobacco in Italy and a flourishing smuggling economy, all set against an exquisite mountainous backdrop. 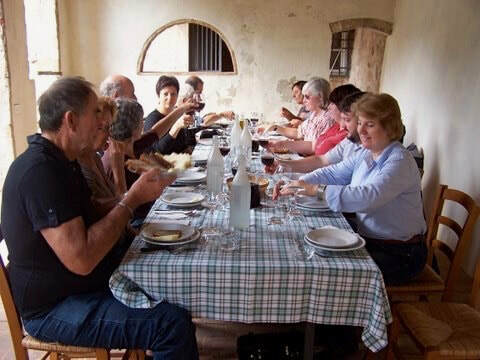 Introduction to the tour, welcome dinner featuring local specialities at the Locanda. We spend the morning on Roberta’s farm near Sansepolcro where she and her husband cultivate Kentucky tobacco for the Toscano cigar. Tobacco arrived in Rome in 1561 and in Sansepolcro in 1574. 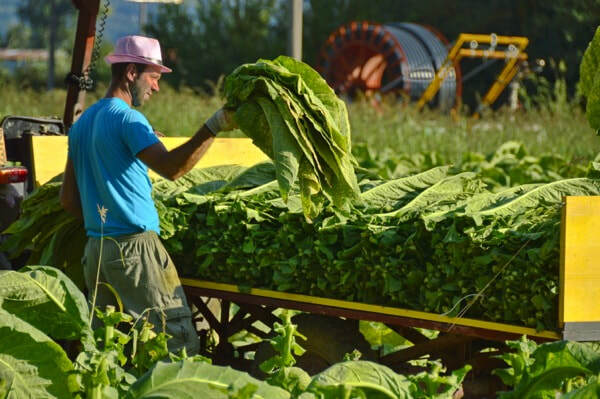 Until the 1960s tobacco was a major source of agricultural income and seasonal work for women, which gave them a degree of independence from their husbands. 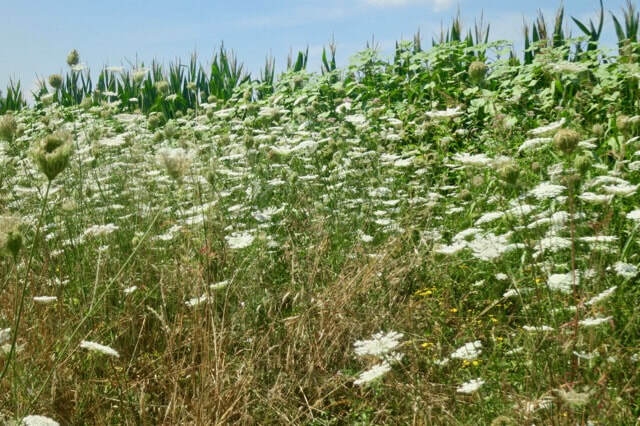 Tuscan Heritage wouldn’t be complete without it, even though we can’t ignore its health and environmental impacts. 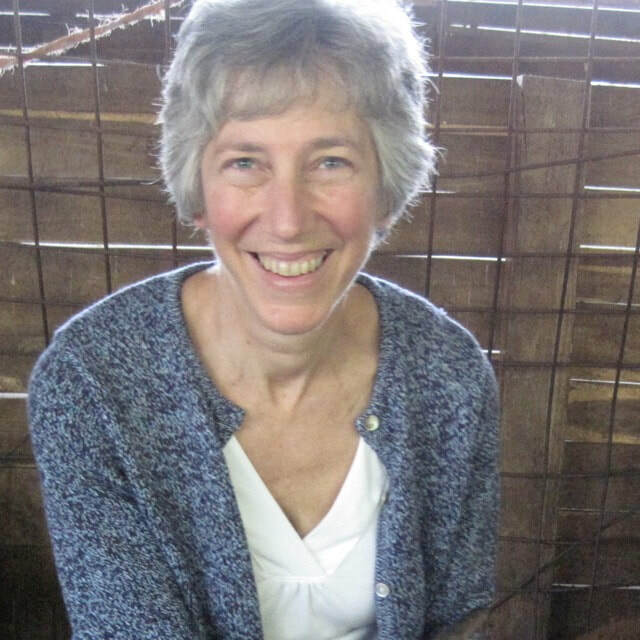 Since it’s harvest time, everyone is going back and forth from the fields, where they hand-pick the enormous leaves, to the rooms where the leaves are fire-cured. Roberta explains all. Free afternoon around the pool at the Locanda. Late afternoon we visit the Science and History of Tobacco Museum at San Giustino (just over the border into Umbria) for a private tour with the Museum curator. Dinner at a former smugglers’ inn. Today we become smugglers with the locals who stage a walk every year along ancient mountain trails once used for transporting contraband goods like tobacco and salt to the Free Republic of Cospaia, a tiny country that became independent by accident in 1441 and remained a hotbed of free trade until 1826. You might be challenged by some carabinieri, but we guarantee no arrests. In fact, the police join us for a five-course lunch with much singing and celebrating at the workers’ club of Ponte alla Piera. A light supper will be served at the Locanda, in case you’re hungry later. 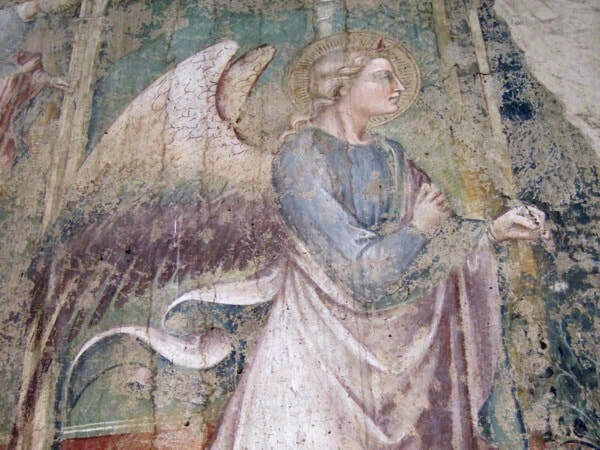 Sansepolcro’s claim to fame is as the birthplace of the early Renaissance artist Piero della Francesca. We visit some of his masterpieces in the Civic Museum of his home town. You’ll have free time during which you can visit the Aboca Museum of Medicinal Herbs and the cathedral or relax at a cafe. Lunch and free time at the Locanda. In the cooler late afternoon, we go to the town of Anghiari, spectacularly perched on the edge of a cliff. This is where in 1440 the battle of Anghiari took place which was commemorated in a now lost painting by Leonardo da Vinci. Sightseeing and dinner. This morning we pack our bags and say goodbye to the Valtiberina. 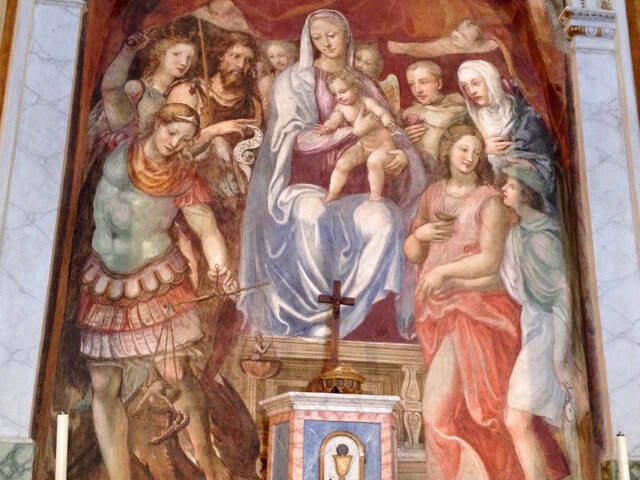 We stop at the tiny village of Monterchi to view Piero della Francesca’s ‘Madonna del Parto’ before proceeding to Arezzo for one of the greatest masterworks of the Renaissance, his cycle of frescos ’The Legend of the True Cross’. We lunch just outside the historic centre in a restaurant where I have yet to see another tourist. Mamma cooks and the son is a gifted sommelier of the sangiovese grape. 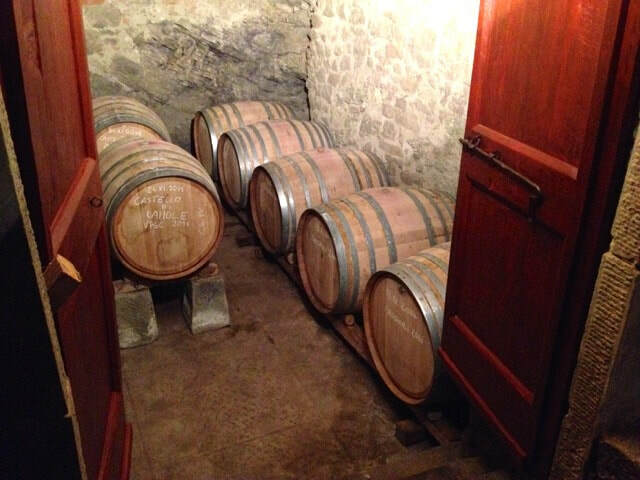 We end the day at Tenuta La Fratta, an estate with a history going back at least to 1208. 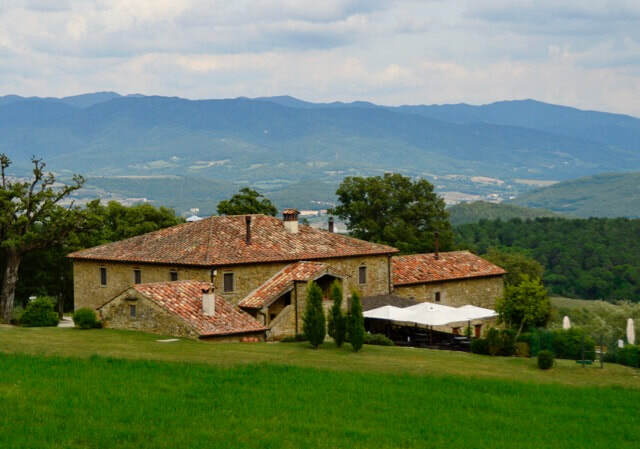 We chose this farm for its Chianina cattle, but decided to spend a night to give you the experience of a vanished Tuscany. Barbecued steak for dinner. 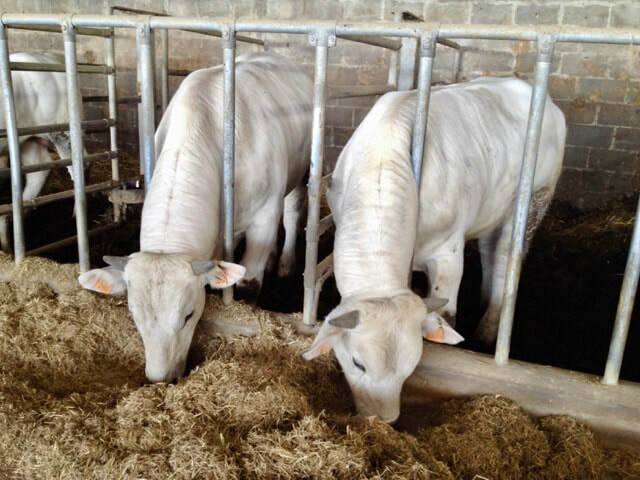 The white Chianina is a giant of a cow. Once a work animal, it has been saved from extinction and is now prized for its meat. 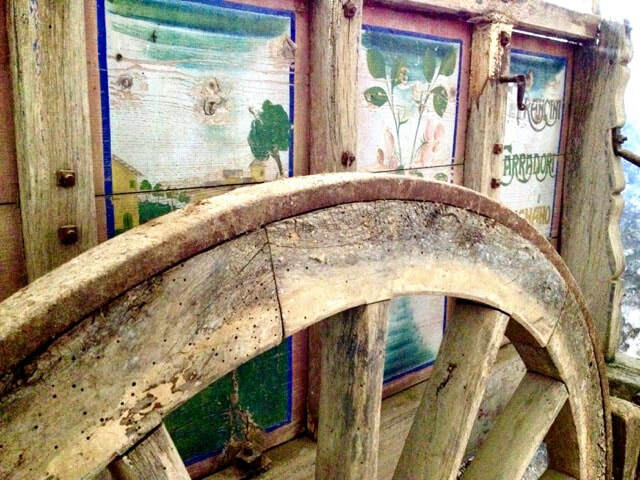 Our tour of the estate takes in the stalls and fields, a peasant farmer’s house frozen in a time warp and the frescoed chapel. After lunch based on the white cow, we go in search of the black rooster, emblem of chianti classico. 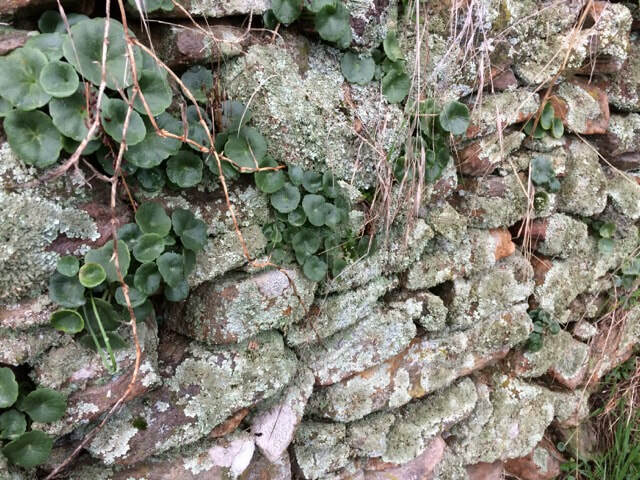 We visit a winemaker in the Lamole area and find out how his obsession with dry-stone walling affects his wine. We end the day at Agriturismo Cafaggio below San Miniato. 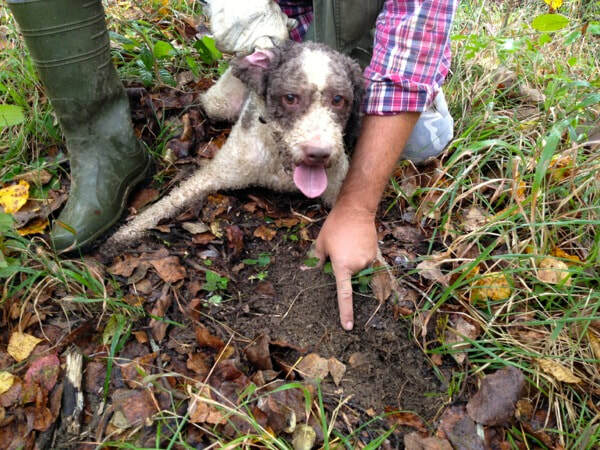 San Miniato’s present-day fame is based on the white truffle of Tuscany, and this morning we have an appointment with Riccardo and his truffle hound. 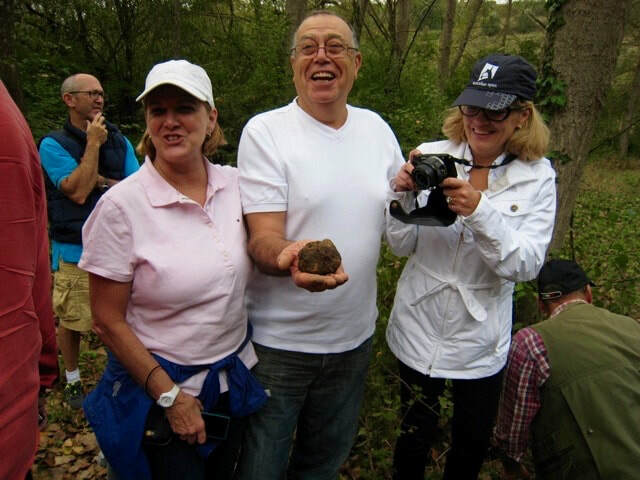 He takes us to a private truffle wood where we hope to find the first white truffles of the season. Even if we’re unlucky, there’s no need to fear a lack of truffles at lunch, which Riccardo and his wife Amanda prepare for us at their home. 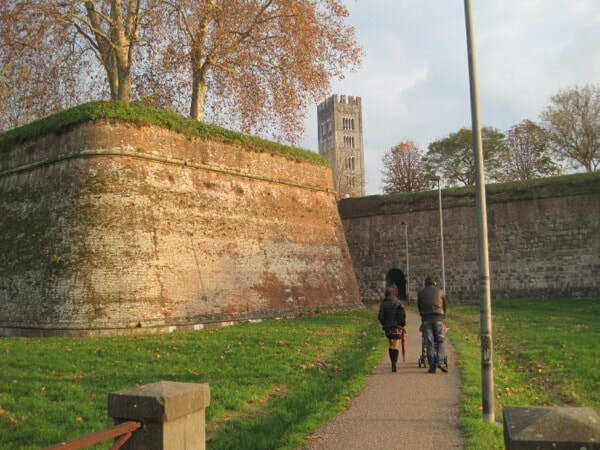 On the way to Lucca we visit a castle designed by another of Tuscany’s famous sons, Brunelleschi, better known as the architect of the dome of the duomo at Florence. The exuberant Giovanni guides us from the dungeons to the tower from where the Florentines could keep an eye on their enemies from Lucca, which is where we’re headed next. 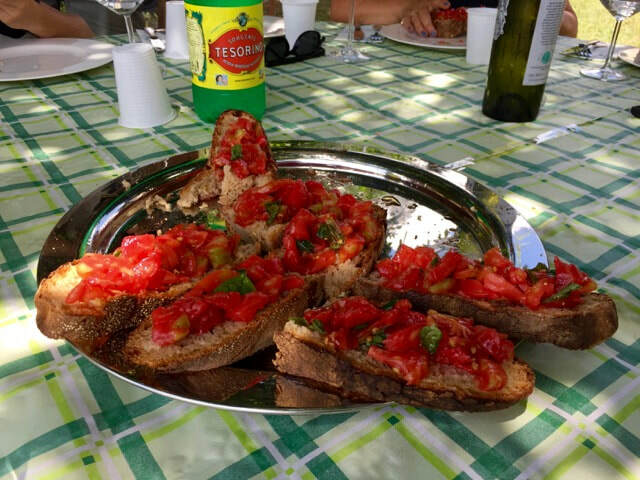 Light supper at Agriturismo Alle Camelie. The Manifattura Tabacchi is where the Toscano cigar takes its final shape. We follow it from the arrival of the cured tobacco leaves to the finished cigar. We watch the skilled women (no man has stayed the course) who can roll more than 500 cigars a day by hand (not on their thighs). Equally fascinating are the machines that do the same, as if they had fingers, albeit producing cigars of lesser quality. Free time in Lucca for lunch and sightseeing. Then a surprise. 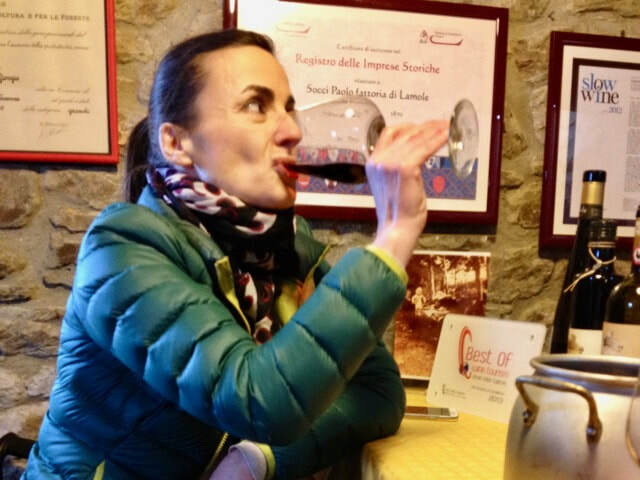 Did you know there’s an experimental tea plantation in Tuscany? We’ll prove it. And better still, you’ll have a guided tour with the owner and a tea tasting. 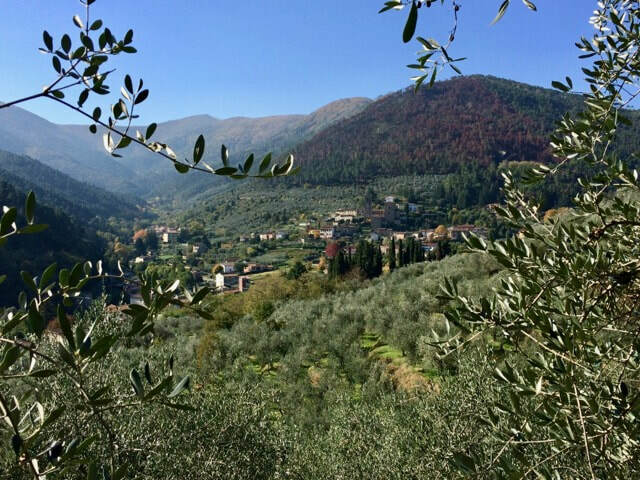 Tuscan olive oil is famous worldwide and none more so than that of Lucca. 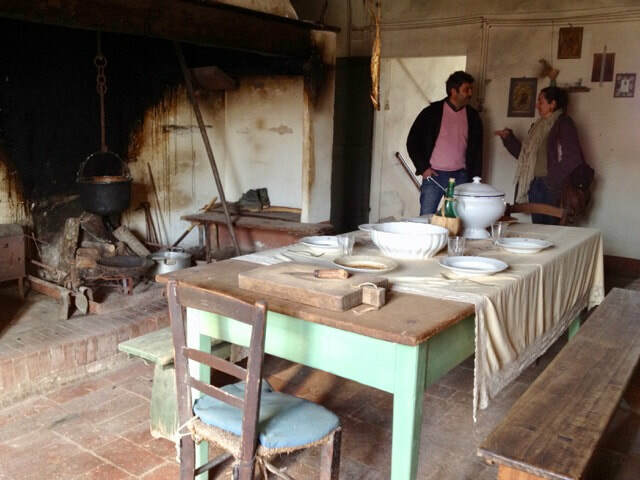 Our agriturismo is an organic olive estate where we dine and taste some of Lucca’s typical dishes seasoned with their olive oil. 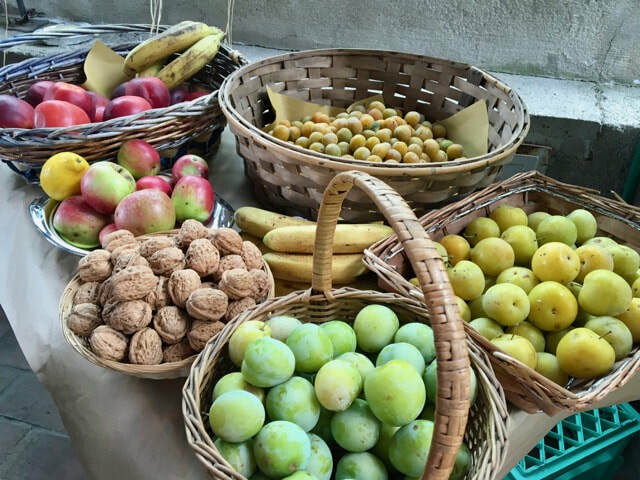 Guido Favilla is one of an increasing number of farmers who are dedicating themselves to rescuing food plants of the past. 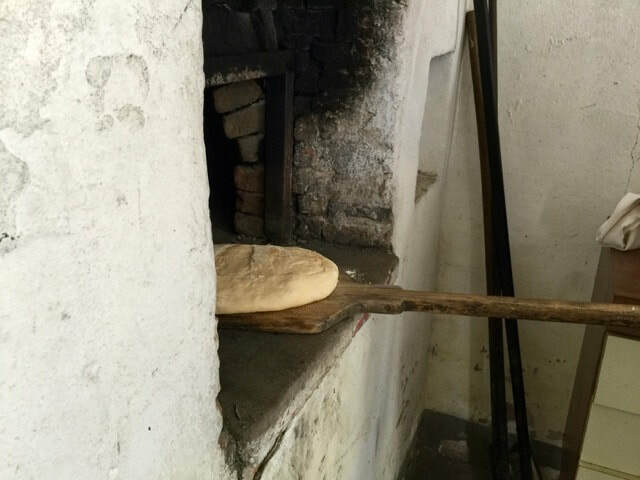 We join him and his family on their farm to see some of the heritage varieties, but especially to make bread and focaccia with his stone ground flour. Lunch in their home composed entirely of produce from the farm. 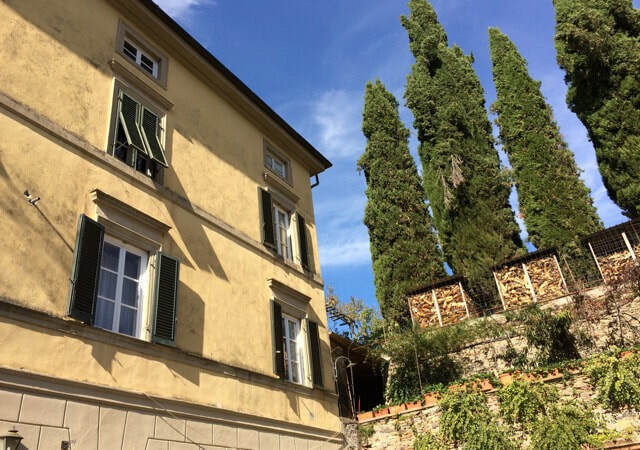 The afternoon is free for you to visit Lucca again or return to laze around the pool at Alle Camelie. 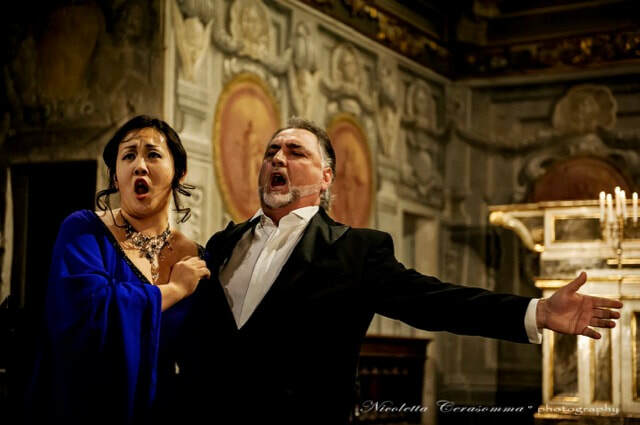 Giacomo Puccini was born in Lucca and our heritage tour wouldn’t be complete without a concert of his opera arias given by the young and vibrant Lucca Opera Festival in a splendid frescoed oratory. 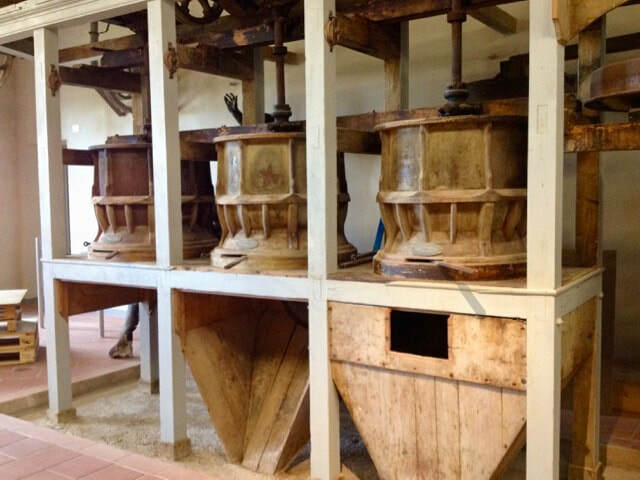 After a relaxing morning at Alle Camelie, we depart for Lago Massaciuccoli where we have lunch at a former rice polishing mill. 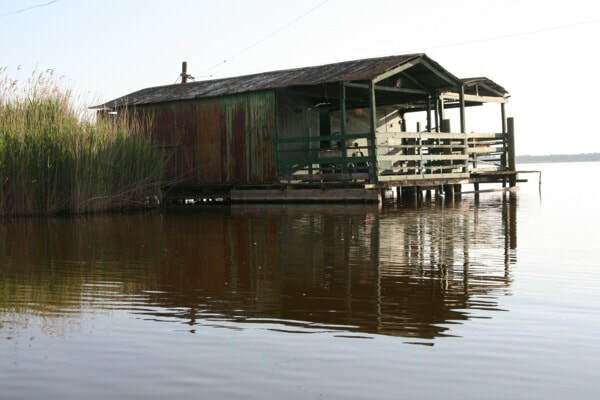 After lunch a fishing boat transports us across the lake for a tour of Puccini’s villa at Torre del Lago, where he spent most of his time from 1891 until his death in 1924. A pleasure he couldn’t enjoy is the recent fluorescence of craft beers in Italy. We visit an award-winning micro-brewery for a tour with the brewer and a tasting of the beer. For our farewell dinner we go to the nearby home of Gabriella Lazzarini who is a master of the seafood cuisine of Viareggio. This will be a dinner to remember. Departure. Transport will be provided to Lucca or Pisa railway station or Pisa airport after 9.00 am. 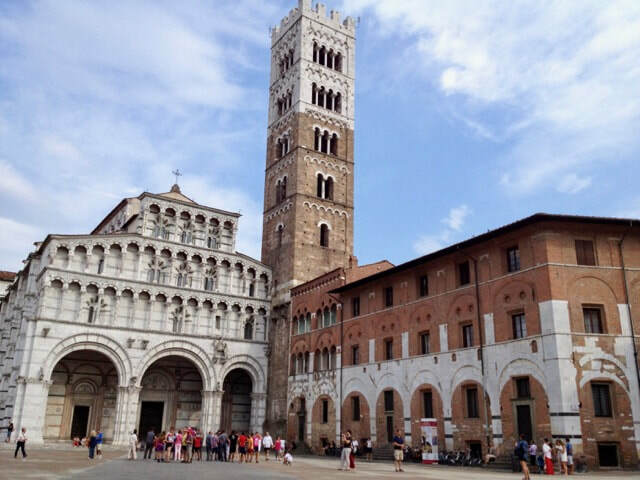 When booking your departure, allow 30 minutes to Lucca, 1 hour 30 minutes to Pisa plus check-in time (we recommend an hour and a half) or time to get to your train platform. If you need to travel earlier, a taxi can be arranged at your own expense. Arezzo railway station (nearest international airports are Rome and Florence). Pick up from Italian airports can be arranged at your expense. Transport will be provided to Lucca or Pisa railway station or Pisa airport after 9.00 am. When booking your departure, allow 30 minutes to Lucca, 1 hour 30 minutes to Pisa plus check-in time (we recommend an hour and a half) or time to get to your train platform. If you need to travel earlier, a taxi can be arranged at your own expense. There will be a lot of walking on this tour. You must be fit enough to walk on steep cobbled streets, easy mountain trails and rough farm tracks. This year August temperatures went up to 38˚C / 100˚F. ​Come along on this new tour and then tell us what you think.